Congratulations to club member and regular trainer Lucie Hustler who has just made up her second Field Trial Champion. FT Ch AYTEE ISADORA better known in the club as Dora won both her first prizes at two Open Trials in the last week of the 2014/15 season. Lucie said that their trialling season had been very challenging this year and although she’d had great faith in Dora, she had resigned herself to believing that “it” was not going to happen this year so to win the last two trials of the season turned into the most fantastic week. Lucie thinks that it is Dora’s running style that catches the judges eye. “She just gives everything and does it all on her own,” she said. “It seems the less I do the better she gets! “The trouble with this is that I love running her and I don’t want to hang up her boots yet, she is so young, at just 3 1/2. 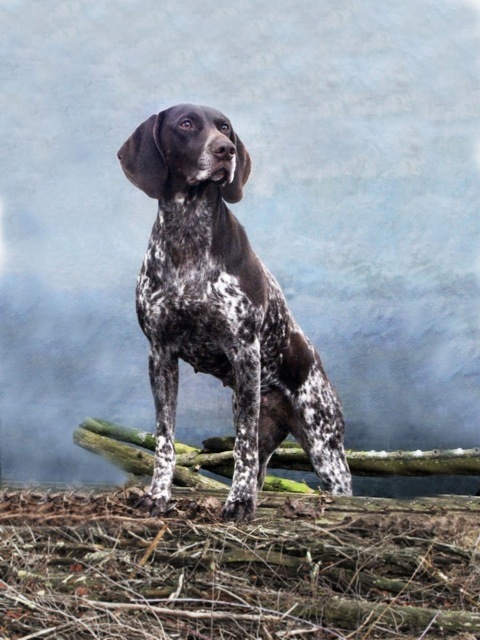 I would really love to trial her another season or two, especially up on the grouse moors. She has only been twice and I think she will have fun once she has learnt a bit more about those pesky birds! But for now we are looking forward to the HPR Championship and to be honest I cant wait”.